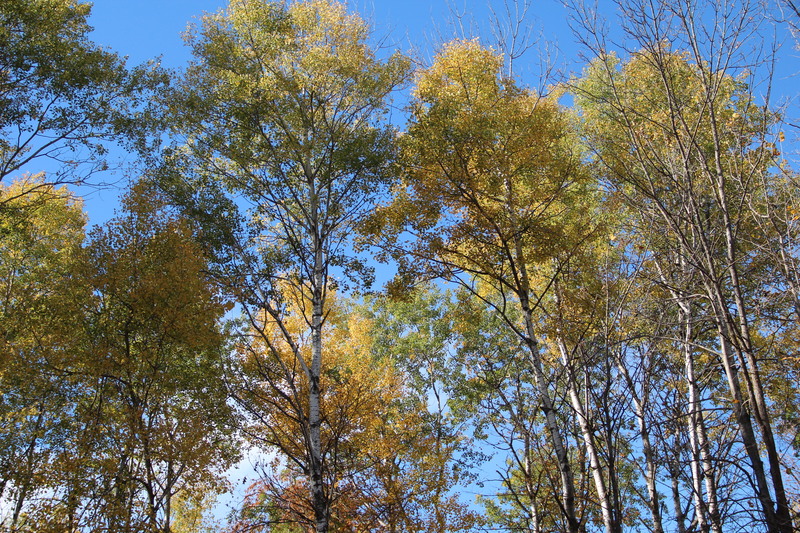 Aspen, hazelnut, oak — both red and white — add their glow to the autumn hardwood forest. Carotenoid pigments, which color pumpkins, yellow squash and corn, produce yellow, gold and orange leaf coloration. Anthocyanins produce red and purple colors in raspberries, grapes, cherries and some autumn leaves. The brown coloration found in some species of oak is produced by tannins, which also color tea, some kinds of wine, and some nuts, such as walnuts, pecans and acorns. On a recent day-trip to our cabin, I photographed changing leaves in the woods along the Snake River in east central Minnesota. 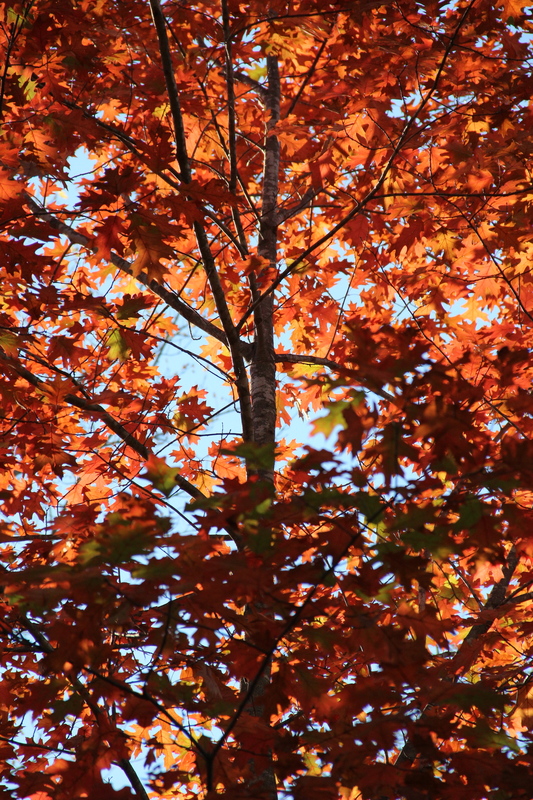 Each tree has a unique beauty in the shape and color of its autumn leaves. Northern red oak (Quercus rubra) is a member of the Beech tree family. 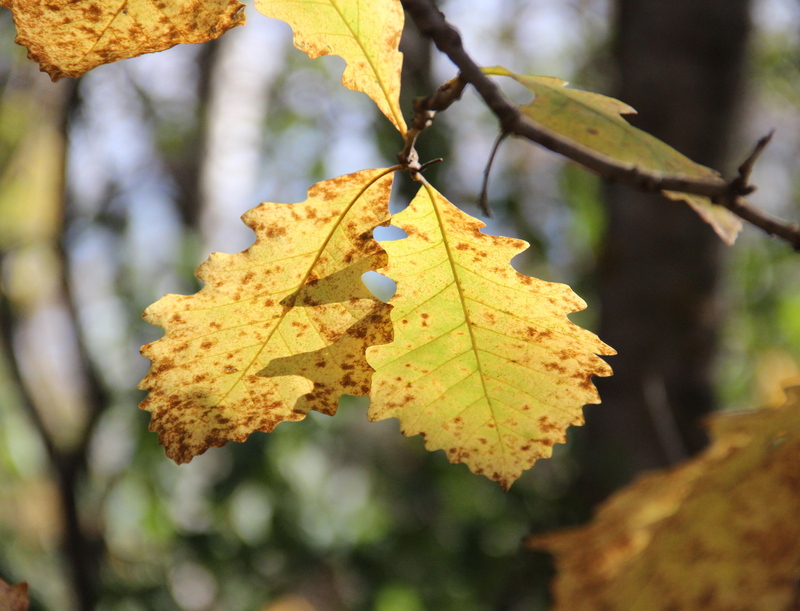 Bur or Mossycup Oak leaves (Quercus macrocarpa) turn yellow or brown in autumn. 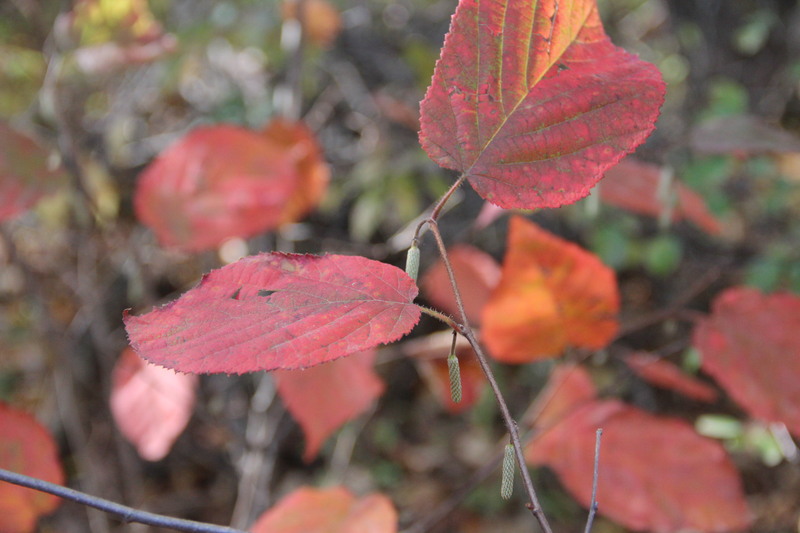 American hazelnut (Corylus americana) bushes grow in thickets along the riverbank and produce rose-colored autumn leaves. A grove of quaking aspens (Populus tremuloides) soars skyward. 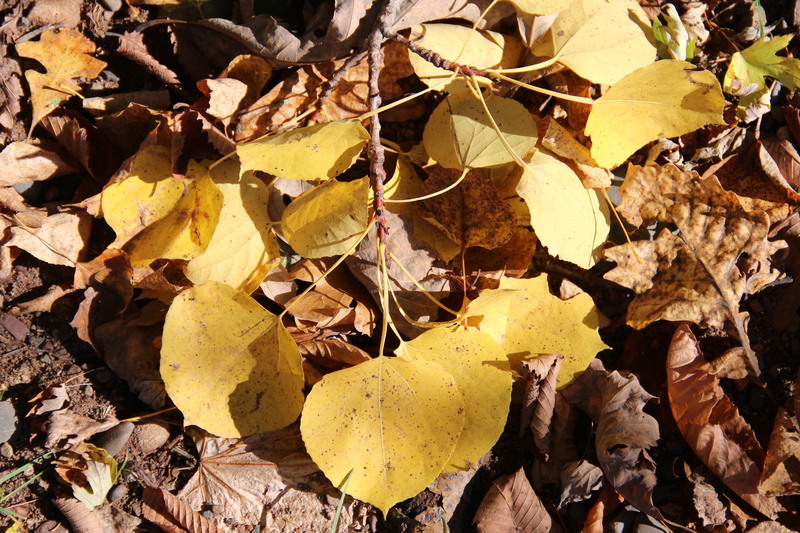 Quaking aspen leaves tremble in the most gentle breeze and create a soft, soothing, rain-like sound. This entry was posted in Autumn, Nature Photography, Snake River, MN, Trees and tagged aspen trees, Autumn leaves, hazelnut bushes, oak trees, Snake River Minnesota. Bookmark the permalink. Great pics i’ll print them out for Gerr. Thanks, Dad. I’m glad that you enjoyed them. The red oak is one of the tiny saplings that you and Mom nursed along many years ago!